You think gravity wears you down? Try 12 months without it. And Kelly won the prize. In late March, he and cosmonaut Mikhail Kornienko will fly to the International Space Station, orbiting 230 miles above Earth, and remain aboard for a full year. Four Russians have already spent an uninterrupted year in space, but none since Mir in 1999. Kelly will be the first American to do it. Having logged a cumulative six months in space on three prior missions, he will return to Earth with more than 500 days in orbit. That fame may come with a price. 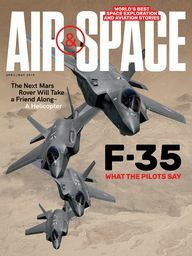 Backaches, bone loss, lousy sleep, loss of balance, headaches, muscle atrophy, nausea, radiation exposure, rashes: There is already a well-thumbed compendium of woes that have plagued visitors to space. 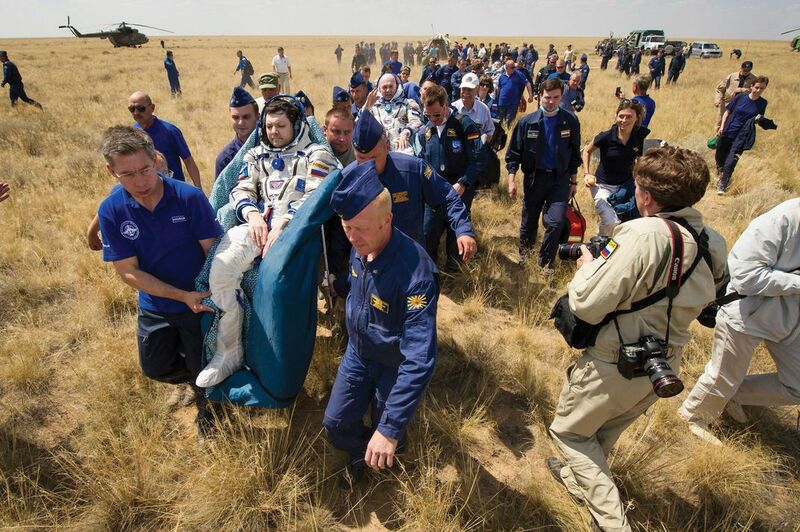 Says Kelly, “You feel bad for a month, and I’ve never felt completely normal.” For astronauts, physical discomfort is an occupational hazard scarcely worth mentioning when set alongside the unparalleled high of being in space. But when does that discomfort become too much? NASA, its Russian counterpart Roscosmos, and the other station partners want to know what would happen to your body and mind if you were to travel to Mars—a round trip expected to take nearly three years. (That’s an estimated six months’ transit time in each direction, plus 18 to 20 months on Mars or orbiting it while waiting for it to realign with Earth.) A full year in space does a better job imitating the effects of so long a journey than the current six-month station sojourns. The idea is to see if people who stay in space longer get beat up worse, or if the harm occurs mainly in the early part of the mission. NASA has deemed some of the usual suspects to be under control, at least for six-month International Space Station missions. Two and a half hours of exercise per day appears to halt the bone loss and muscle atrophy. Drugs control nausea, and ointment helps the rashes. There are sleeping pills and pain pills. 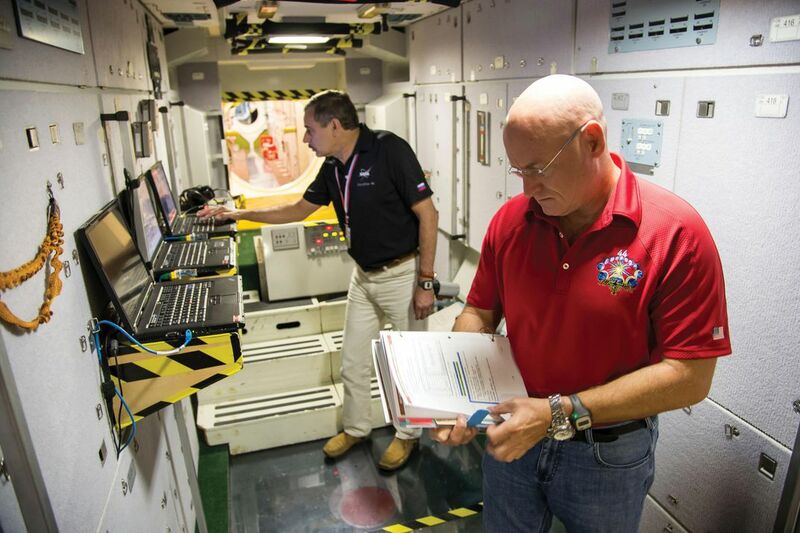 But for a Mars mission, NASA has identified 32 “major” risks to human health and performance. These include everything from radiation poisoning, which will take a lot more than a series of year-long ISS visits to understand, to onboard fires or loss of cabin pressure, which are mostly about bad luck. NASA’s Human Research Program, based at Houston’s Johnson Space Center, studies the other stuff: “Are there troubling trends out there?” asks Mark Shelhamer, the Research Program’s chief scientist. (There are.) “Is there a smoking gun?” he asks. (Maybe.) NASA scientists hope Kelly’s year-long ISS mission—and another five after that—will help them to find out. First are the “pernicious” things, Shelhamer says. 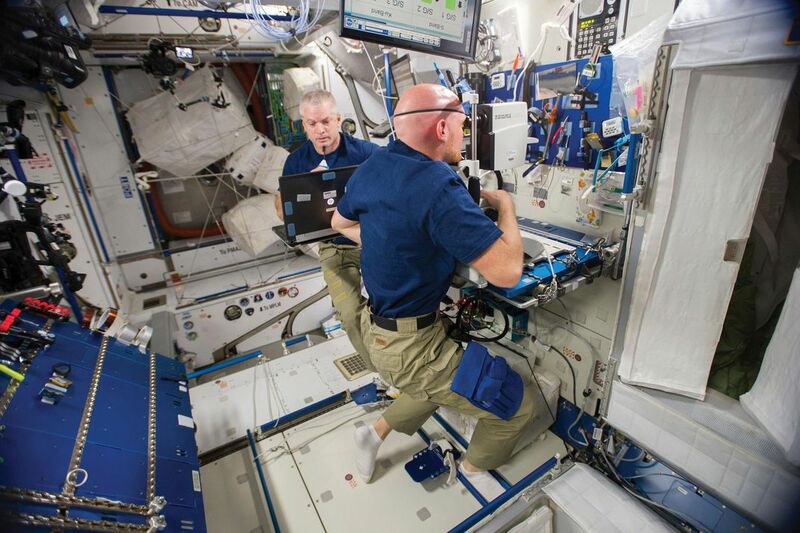 Some astronauts get post-flight kidney stones, and “the prevalence is troubling.” The incidence was higher after six-month ISS missions than after two-week Space Shuttle deployments. Kidney stones, as anyone who has ever had one knows, are no fun. High concentrations of calcium oxalate in the bloodstream cause stones to form in the kidneys. Bone loss might be the culprit, but NASA’s current best guess is that the high level of carbon dioxide in the ISS air supply is to blame: It’s 10 to 20 times what we breathe on Earth. “CO2 is acidic,” Shelhamer says. “One way your body deals with it is by buffering your bloodstream with calcium.” If a limited time in space causes kidney stones, more time might make them more likely. Also on scientists’ to-do list are what Shelhamer calls “proving negatives.” Have the problems of bone loss, difficulty with balance, and muscular atrophy truly been solved? Longer flights offer researchers the chance to find out. 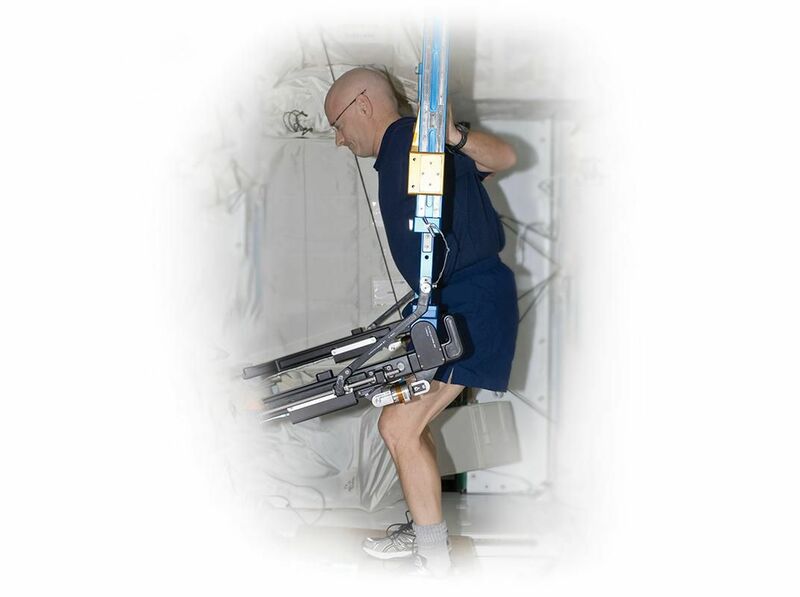 For years, researchers have regarded the vision problems and other microgravity effects as minor and usually reversible. On Earth, gravity pulls fluids to a person’s lower body. In space, fluids float upward with a number of unpleasant effects. 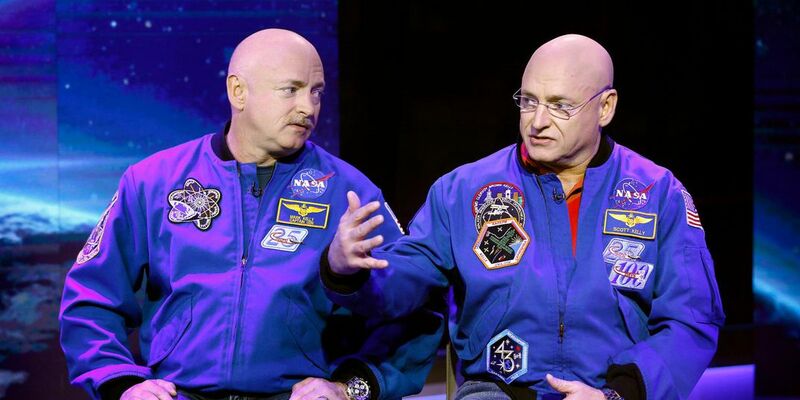 Anyone who has seen astronauts on TV notices their swollen faces. Fluid migration is also a likely cause of headaches. Eyesight is so often impaired that the station stocks a supply of drugstore glasses with different magnifications. Understanding the effects of space travel is complicated by the patient population being studied. Most astronauts are between 35 and 55 years old, clustering in their early to mid-40s, the age when a person’s eyesight usually heads south. For a long time, any ocular discomfort astronauts reported in orbit seemed to vanish once they came home. 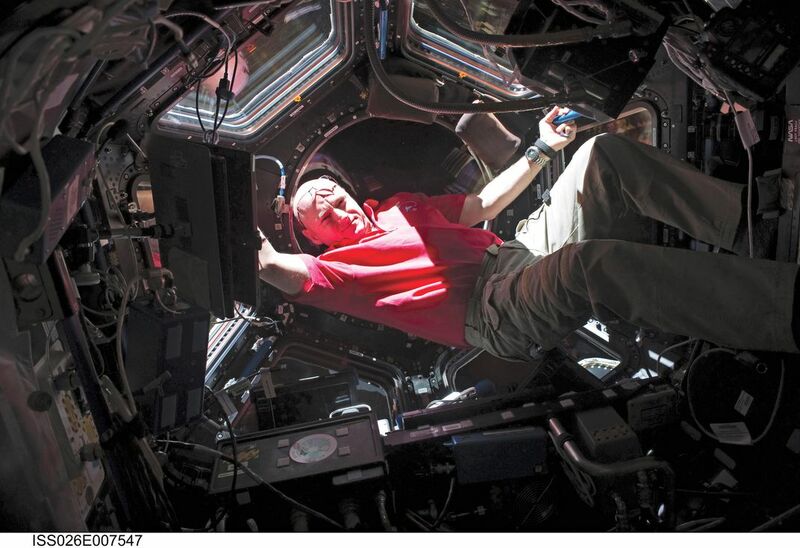 Kelly acknowledges that he, like most astronauts, has had “vision issues” on all three of his flights. In 1999 he was 35 and had “bad middle vision” for a while. 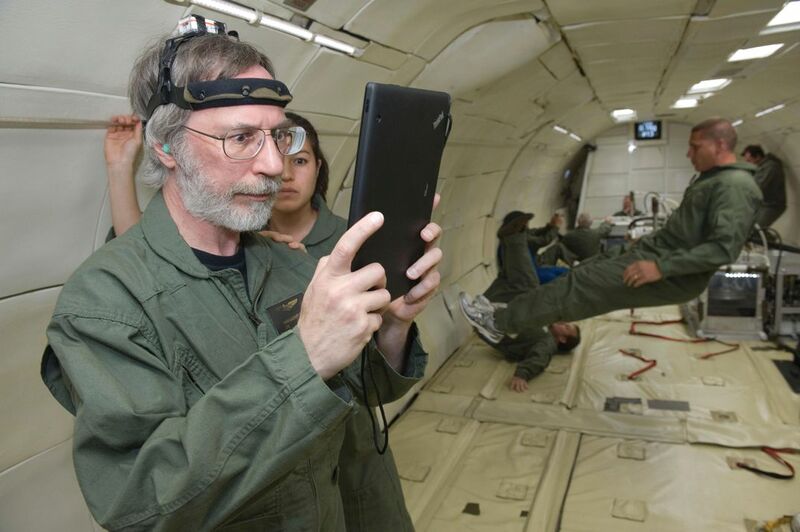 Eight years later, when he commanded STS 118, he was already wearing reading glasses. 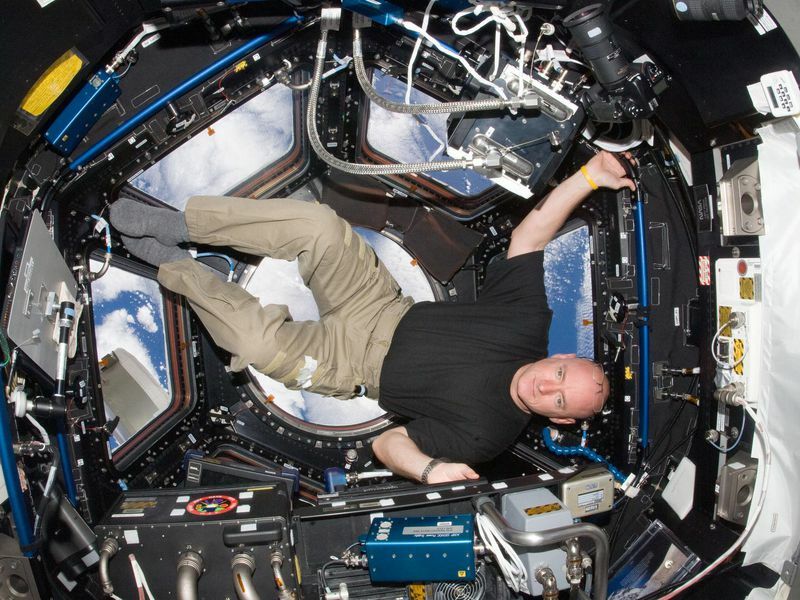 And in 2010-2011, his eyesight “generally changed in a negative way” while he was aboard the space station, but corrected three months after his return. At present, Kelly, who turns 51 on February 21, wears glasses for distance. Kornienko, 54, is also a space station veteran and a spacewalker with only four fewer days in orbit than his crewmate. Drafted out of high school into the Soviet army, he became a paratrooper, then served as a Moscow policeman while he went to engineering school. He joined the cosmonaut corps in 1998, the same year Kelly became an astronaut. He does not wear glasses, Kelly says, but may use contact lenses. Since vision impairment came to the attention of researchers, scientists have floated several theories as to its cause: Bloodstream toxins might put pressure on the eye. Improper technique during exercise sessions might increase fluid pressure in the brain. And as always, radiation remains a suspect.